What is now Bonifacio Global City in the centre of Manila, capital of the Philippines, allows guests to trace the history of the country back through the decades. In the early twentieth century the area was known as Fort William McKinley, home to the United States forces that occupied the archipelagic, before being renamed Fort Bonifacio following their departure in the 1940s. More recently, it has grown to become the most vibrant commercial centre of the city, with Fortune 500 companies, including Proctor & Gamble and Unilever, choosing it as the base for their south-east Asian operations. They were also recently joined by the Philippine Stock Exchange - the economic centre of the country. At the heart of this Filipino microcosm is Shangri-La at the Fort, named in honour of the area’s former military incarnations. 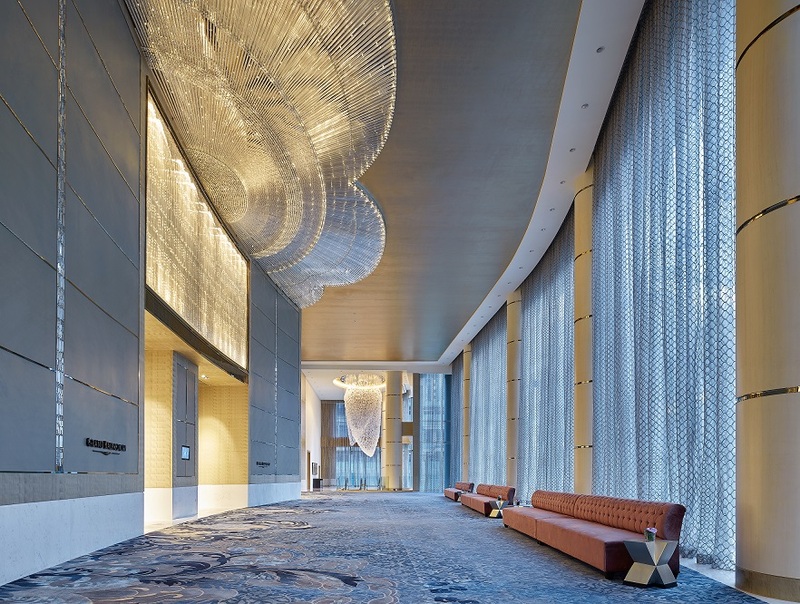 Originally opened in March 2016, it has quickly grown to become an institution in Asian hospitality – encompassing retail, fine-dining, long-stay apartments and condominiums, as well as the hotel itself. Visiting in September this year, it is the scale of the place that is most striking. 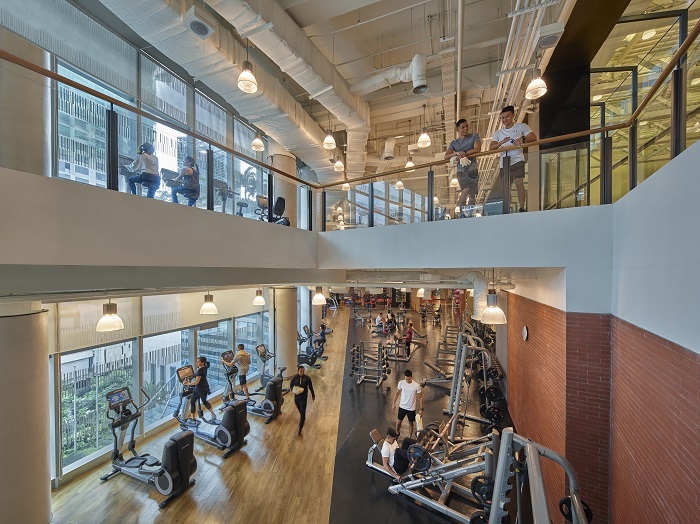 From the huge chandelier hanging in the vast lobby, to the 8,000 square metres of space at Kerry Sports, the in-house recreation centre, nothing here is done in half measures. As John Rice, general manager of the property, explains: “We are in the heart of Bonifacio Global City, which is one of the fastest growing urban, corporate growth cities in south-east Asia; it grows annually at seven per cent. “Traditionally hotels tend to be very inward looking, but we are seeking to be as outward looking as possible. “Outside there is a very good mix of residential, commercial and corporate space in the area – all of which runs 24/7. That lifestyle is one of urban sophistication. While swathes of Manila are choked with traffic, smog and chaos, Bonifacio Global City stands apart. Shangri-La at the Fort is surrounded by a colourful, eclectic mix of state-of the-art office buildings, high-rise residences, upmarket retail brands, activity areas and expansive green spaces. Within easy reach are the main airport, international schools, embassies, and a world-class medical facility, as well as the Manila Golf Club and the Manila Polo Club. Rising 250 metres above it all is Shangri-La at the Fort itself. Offering 576 guestrooms and suites, ranging in size from 45 to 239 square meters, the property caters to a mainly business market. Sitting in the High Street Café on the ground floor, the accents are a mix of American and Filipino, with a smattering of guests from elsewhere in south-east Asia and China. Up above, Cantonese and Huaiyang cuisine are on the menu at Canton Road, while Raging Bull Chophouse & Bar offers dry-aged steaks and Western grilled snacks. 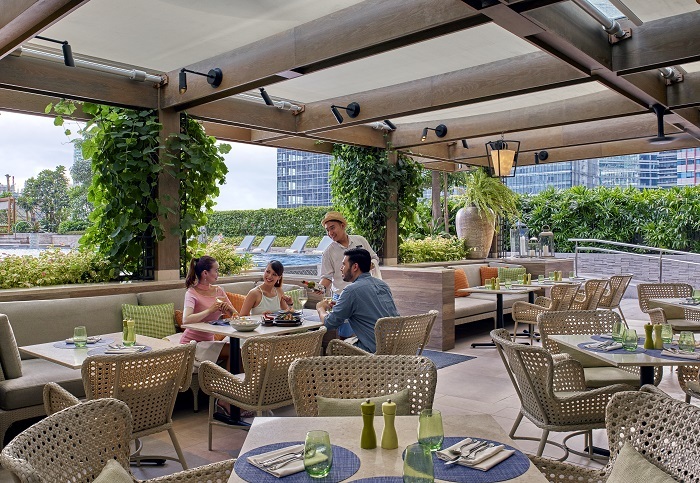 Set on the eighth level, Samba offers a collection of South American dishes and was a highlight of my stay. One of the few places serving ceviche in Manila, the restaurant is the definition of “destination dining” and attracts a knowing crowd from the surrounding area. To burn off some of the calories, Kerry Sports is also home to an NBA-grade indoor basketball court, two tennis courts, two squash courts, an outdoor lap pool, extensive gym facilities, exercise studios and a wellness spa with nine treatment rooms. Unusually, the space is also open until late at night, making it a great place to relax before turning in. Shangri-La at the Fort is also pet friendly – a particular perk for those who wish to extend a stay beyond the customary few days. 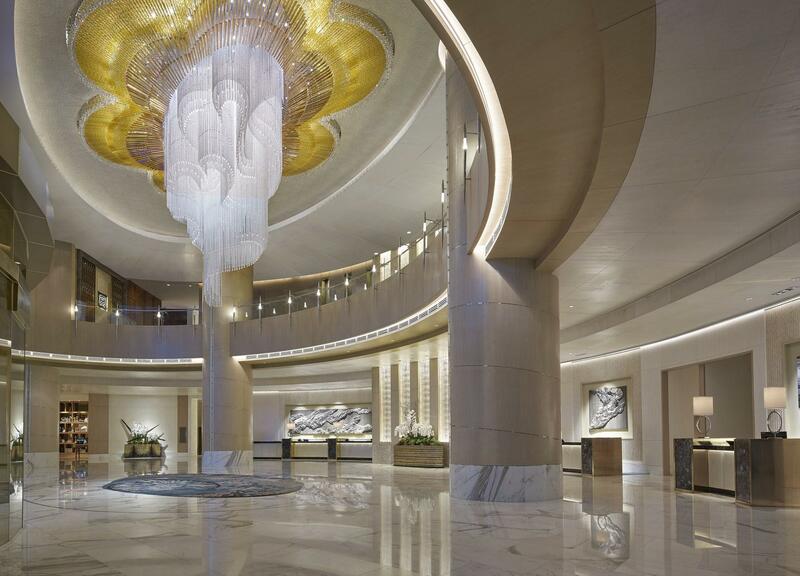 Up in the rooms, everything is as you would expect from brand with the prestige of Shangri-La. One of three hotels from the company in the city, the rooms here include accents of marble and silk, with a light Italian wood that complements the cityscape. All offer great views over the city below, while those with a desire for even more luxury can request access to the Horizon Club. Situated on level 40, it is the perfect space for weary travellers to recharge and an excellent example of the strong service standards of the hotel. During my stay I was offered a personalised greeting each day, while my food and beverage preferences were discreetly noted and applied. Rice explains: “With the workforce, we want their individual personalities to come out, but at the end of the day, we want to be able to serve guests the way they want to be served. “If they would like a super-deluxe, white glove, five-star experience, where they are greeted three or four times on the way to the room, we can provide that. “But, equally, if a guest wants to get out of the car, get their room key and go straight to the room, we can also provide that. Of course, to a western market Manila might be something of a mystery. While the tropical of island of Boracay is one of the most desirable destinations in Asia, the erratic threats of Philippine president Rodrigo Duterte have left travellers confused, if not a little afraid, of what they might find if they visit. But safety is not a great concern on the ground, argues Rice. “There are a lot of perceptions out there about the Philippines, but the destination is very centrally located in south-east Asia and it is turning into a hub for a lot of Fortune 500 companies. “The Philippines has a workforce with a very high ability, the English language is readily spoken, education levels are high and thus the destination is becoming more and more attractive. “The government is also implementing policies that are more favourable for investment. “Regional areas are being developed for tourism, too. “Boracay has just gone through a rehabilitation, while Mactan is coming online, Siargao is coming – there are a lot of provincial areas that are becoming attractive. While Manila itself is more usually seen as a commercial hub, there are enough highlights to make the city a destination in its own right. The walled city of Intramuros, built during the Spanish colonial period, provides a break from the bustle elsewhere in the capital, while Fort Santiago is another highlight for those with a taste for history. For bars, head to the Poblacion district in Makati, where the Spanish influence can be seen as evenings start late and carry on until the early hours. If you have cash to spare, then the casinos that run the length of the Manila Bay will be only too happy to take some of it off your hands. 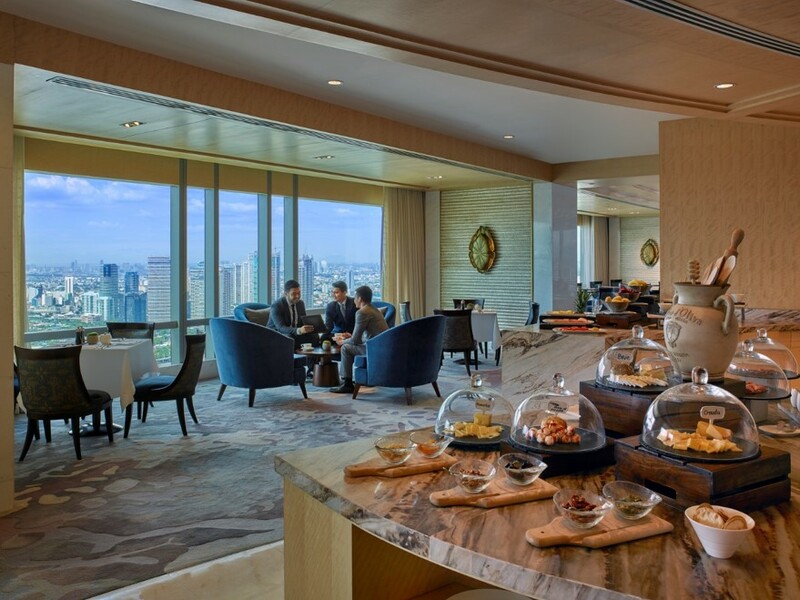 In the short-term the market is likely to remain business focused, but with properties such as Shangri-La at the Fort there is certainly scope for the city to grow into much more than just a transit hub for sophisticated leisure travellers. Shangri-La at the Fort is a landmark, mixed-use development in the heart of Bonifacio Global City, an emerging contemporary lifestyle district at the centre of Manila and one of the fastest growing urban developments in Asia. It features Shangri-La Hotel and Serviced Residences; Horizon Homes, a collection of distinct homes situated on the top floors with unhampered views of the metropolis; retail shops; and Kerry Sports Manila, a comprehensive lifestyle and leisure club.